If a few clapboards of your home's old wood siding appears damaged by water or insects, you may wonder if it's okay to repair the damaged clapboards and leave the rest in place. Although wood siding has its own unique features and benefits, it can cause problems once it's damaged, including water leaks. Simply repairing the damaged clapboards might not keep your home's wall and other structures safe when it rains. The material beneath the clapboards may also have some type of damage that allows water to soak into the home's walls or drip into basement and foundation. Here are things to know about wooden clapboard siding and what you can do to keep water out of your home. What Happens If You Don't Maintain Your Siding Properly? 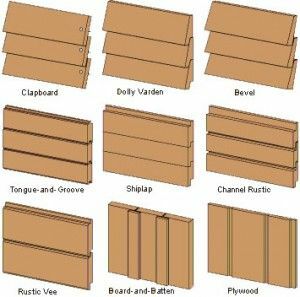 Clapboard siding is one of several types of siding coverings on the market today. The boards used for the clapboards are designed to overlap each other after installation, which creates a unique look and style for your home. The overlapping feature should also protect the walls beneath the siding from water and insect damage. But if you haven't properly maintained your siding, such as painting, cleaning or sealing it over the years, it can become damaged by insects and water. The nails used to secure the boards to the home's walls may also rust and loosen up, which allows the boards to pull away from the house. If you don't replace the boards right away, water, mold and insects can eventually penetrate the wooden walls of your home and weaken them. If you look closely at the walls beneath the damaged clapboards, you might see some of the damage. The walls may appear porous or dotted with holes, or they may appear faded or discolored. Cupping, curling or splitting may develop in the clapboards over time. These defects expose the walls to the elements. If your area encounters a heavy snow, such as hurricane or blizzard, the boards may blow off from the house. If you painted the clapboards in the past, the paint can chip off and expose the untreated wood beneath it. In order to avoid the issues above, it's important that you take action now. What Should You Do About Your Damaged Clapboards? The first thing you can do is hire a contractor to inspect all of your home's siding and not just the damaged clapboards. Water and insect damage can affect areas of the home's walls you can't see right off. For instance, clapboards that appear in good shape may actually cover hidden, large areas of rotting wood. A contractor can uncover hidden damage by physically removing pieces of clapboard from the home, or they may test the wood with a moisture meter. A moisture meter detects whether or not wooden structures contain some type of water infiltration. If the meter detects a certain percentage of moisture in and on the wood, a contractor will need to replace it. For instance, if the meter's reading reveals a moisture percentage of 20 percent, it's possible for the wood to develop mold sometime in the future. Not all siding contractors use the same meter-reading guidelines, so it's important to discuss this part of the inspection with the contractor you select for services. After the inspection, a specialist may suggest that you remove and replace all of the siding and damaged walls to protect your home. If this happens, you can use the same wooden clapboards, or you can select a new type of product that doesn't damage easily from water and insects, such as masonite. If you go with the same wood siding, you may want to protect it from future damage by having the wood sealed and painted. So, keep this in mind during your project. For more information about your wooden clapboards and siding, contact a professional contractor from a company like Lifetime Exteriors today.